The Samsung Galaxy Nexus is the first smartphone to come pre-installed with the long-awaited Ice Cream Sandwich operating system update. For users of Samsung’s Galaxy brand, the updated S3 phone will be released in a few weeks time whilst individual networks will decide when to launch the new OS to be downloaded onto existing Galaxy S2’s. 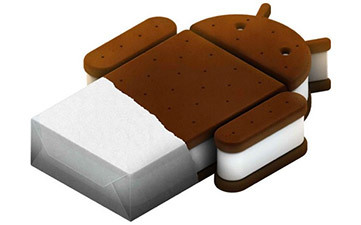 Ice Cream Sandwich is the biggest update Google have made to their OS since Android was launched. The praise around the web has mostly been directed towards the streamlining of existing features and just how nice the new operating systems looks, with new fonts, colour schemes and more flexible displays for your widgets. Some of the buggier new features include Face Unlock. The facial recognition software doesn’t actually work too well in practice. For example, in bright light your face will be picked up as overexposed by the camera and your features won’t be recognised. The feature has been described as “only 50-80% accurate”. Android Beam is another feature that has picked up unfavourable reviews. It supposedly lets you send data between two ICS devices using near-field communications however this doesn’t work uniformly from app to app. The new browser still isn’t ‘Chrome for Android’, but it does feature some useful additions such as a tabbed browsing experience. The new camera has also received positive attention for its ‘0 shutter’ fast response and its panorama feature. There’s also a data usage feature will allows you to track how much of your monthly data plan you have used.